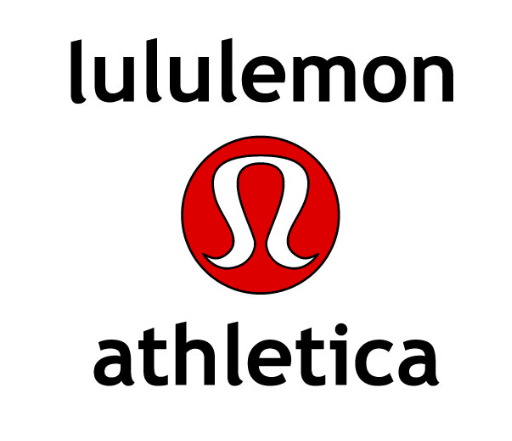 Canadian clothing company Lululemon Athletica was founded in Vancouver in 1998. Founder Chip Wilson’s original idea was to create a new type of clothing specifically for yogis, but also for dancing, running and other sweaty activities. He saw that most athletic clothing was made of cotton, which was a sweat inducing and heavy material, and wanted to offer consumers a lighter, more comfortable style of sportswear. Since then Lululemon has grown to be one of the most prominent and successful yoga apparel brand for men and women across the world. Company’s mission is to create components for people to live longer, healthier and fun lives. Lululemon aims to have strong ties with local communities. They host in-store events such as workshops and complimentary yoga classes. Lululemon has managed to build a community of loyal customers and employees. Employees are committed and motivated to proactively maintain and develop the brand image. Vision, mission and strategy are aligned. However, when one begins to do even a little research on the brand, nasty facts reveal; company is not acting as responsibly and ethically as they claim. Despite the success, company has also caused several scandals in the recent years. The brand received a great deal of negative media attention in 2013 when CEO Chip Wilson stated that their clothes don’t fit all body types, meaning heavy people. His response to customers’ observations of the quality of fabrics stated: “Quite frankly, some women’s bodies just actually don’t work for it. It’s really about the rubbing through the thighs, how much pressure is there.” Naturally, this is not an appropriate way to respond to feedback – the comment showed disrespect towards customers and for the female body in general. Personally, I understand that a sport brand promotes healthy lifestyle and therefore healthy body size, but fact is that thighs in a normal weight female body do touch each other. Wilson made the matter even worse by publishing an apologize video, which was claimed to be the worst in history. This incident caused many brand ambassadors to step down. For example, Huffington Post editor Mehlman Petrzela claimed that no one should be walking in of Lululemon’s doors again. This incident along with some other scandals, such as a lawsuit filed by a company shareholder, has caused the brand image to seriously suffer. Share fell 17.5%, decreased market value by $1.62 billion (financialpost.com). CEO Wilson eventually stepped down after the incidents, which is a step towards re-vitalizing the brand. Lululemon has also been criticized for its “survival of the fittest” hiring policies, which tend to favor competitive, type A personalities. “When we first started, we hired nothing but yogis,” Wilson told Fast Company in 2009. “But it didn’t work because they were too slow. So we started hiring runners who like yoga. They’re more on the ball, more type A.” Again, this is a questionable policy that indicates of the high pressure that are set for employees. Consumers nowadays are conscious on what they purchase and they demand ethical actions. Consumer power can and does make a difference in today’s world of social media and instant communication. And once consumer has boycotted a brand, they are unlikely to return to it (Kuudes Linja). According to King (2008), boycotts are most effective in changing corporate behavior when they receive high levels of media attention and damage corporate reputation. I will briefly analyze current situation with a SWOT and then give discuss on how brand could reinvigorate through better consumer insight. Lululemon has done great job, despite the scandals, in helping females embrace their bodies using comfortable and functional clothes. Traditionally, sport clothes have been considered as a separate clothing category, associated only to exercising occasion. However, the boundary between casual daywear and sport clothes is becoming vaguer, as consumers start to appreciate sports clothes’ features more and more. Alexander Wang recently launched a collection of sporty street wear clothes. Each piece can be worn as street wear, sport wear or at nightclub (as dancing makes you sweaty). Functionality is trendy. Also, Nike recently opened a store for women, which has an entire collection for casual sportswear; trendy enough to be street wear as well. Lululemon clothes fall into category considered fashionable enough to be worn outside the exercising situation as well. Typical Lulu customer appreciates functionality, high quality and clothes that embrace their body. They want to express joy, well being and sportiness through these clothes. In general, appearance signals identity, values, moods and attitude. By wearing Lululemon clothes, he/she signals: “I take care of my well-being. I love yoga and exercise. I wear top sport clothes available.” The target market is attractive and potential due to changes in consumer behavior explained above. This already has and eventually will make them loose their customers, if nothing will change. Next, I will suggest that the brand needs to re-enhance their brand image and start truly act responsibly. Because of the issues stated earlier, it is obvious that Lululemon needs to better handle their Reputation Management (van de Ven, 2008). Requires of stakeholders need to be better addresses, as well as respond to criticism from society. In my opinion, criticism should always be taken in, thought about and act based on it (in contrary to Wilson’s arguments against his customers). Market research should be made to address misalignment between brand identity and brand image. As a consultant, I would suggest the following. Lululemon has managed to build an established, appreciated brand name. Although the scandals have diluted brand image, they have still got a wide fan base. Employees are passionate and proactively develop the brand. The problem, for long, was the CEO who lost his face and several loyal customers along. Now Lululemon has got to re-build its credibility and trust of consumers. I would not do fundamental changes to mission and vision, but rather focus on improving processes in business ethics as well as in retail experience. Finding ways to better connect with the consumers and proactively address their needs are crucial, which I will dive into in the next section. Mortar and brick stores are already great. Staff is always helpful and joyful, and the store environment is pleasant and visual. However, some observations can be made based on (mostly) ethnographic research, which I will elaborate in the following, accompanied with recommendations. Stores now cover the US, Canada, Australia, few in Asia, the UK, Germany and the Netherlands. Brand needs to spread: at least the Nordic countries, China (now only Shanghai and Hong Kong), Southern European countries, Middle East (Dubai, Abu Dhabi) should be covered in order to widen the sales base. Though online shop covers almost the entire world, this is not enough; customers want to be able to go and try the clothes, touch and feel the fabrics and experience the buying process. This can be compared to luxury item buying process where people want to buy the product from the store to get the special treatment that comes along with the process. Lululemon needs both online and offline stores to widen the revenue base. In Hong Kong, for example, the store opening hours are ridiculous considering the lifestyle of the target segment – upper middle class, who most likely work long hours at office and therefore shop late or on weekends. When a store is open 4 days a week, mostly from 11 am until 4 pm, this simply makes Lululemon loose its core target customers, as they miss the opening hours. Company needs to widen the opening hours until late night, and Sunday. Of course, consumers’ needs should be more thoroughly researched by interviews or such, but the results will most likely indicate what explained above. Though brand position is at the top in quality and brand image is strong, the prices are simply too high for most consumers. Taking a niche target in luxurious yoga apparel does not seem to be working, as consumers are getting more and more price conscious. Lululemon is competing with fashion brands as well, who have launched their sports collections (Forever 21, H&M etc.). These budget sport clothes can reach almost same quality as well as trendiness as Nike, for example, and therefore and competing with Lululemon as well. Consumers, who would prefer Lululemon over other brands, simply cannot afford it. This narrows up the customer base, which is not good is such competitive market. People are not willing to buy such high premium of sports clothes. Lululemon should keep higher prices than average, but still lower them a bit. Concept store approach should be adopted. Typical customer embraces healthy lifestyle; Lululemon concept store would consist of the clothing store, yoga studio, snack bar/ restaurant of healthy slow fast food and a book store/library. Clubs such as running, boxing, cooking etc. would be founded and further developed. The clubs could also interact across countries and continents so that similar minded people across the world could connect and build relationships. The community membership would enable joining events, workshops and even mutual holidays. Platform for blogging, experience sharing and conversation would be made easy for all community members. Lululemon already has such an established reputation in the field of yoga and sports wear that they need to act as the forerunner in providing clothes for existing trends. As sports clothes are becoming more fashionable and the occasions to wear them is getting wider, consumers demand for fashion trends in this field as well. This relates to phenomenon of fashion as power structures – fashionable people want to show that they are on top of trends. As Lululemon is considered as a ‘luxury brand’ in the field of sports clothing, this position need to be utilized by providing fashionable collections for trendy consumers. First step towards building the trust of consumers was the CEO stepping down. Company needs to make clear communication strategy on their view to particular questions from stakeholders. In my opinion, criticizing heavier female bodies should never be done. Rather, Lululemon clothes should be offered to all body sizes, as they can considered as a tool for healthier body. Also, the hiring policies need to be restated. Based on research, employees might find the culture of embracing healthy lifestyle to go too far, putting the employees to compete each other in their fitness regimes and such. Freedom and individuality should be embraced, letting employees to not feel too much pressure, as this might lead to undesired outcomes; employee burnouts, also causing negative media attention as employees share their experiences through word of mouth and social media. Employees are one of the brand’s greatest asset – management really need to connect with them and their needs. Lululemon is one of the world’s most successful brands providing yoga and other sports apparel for trendy, wealthy and demanding consumers. They have managed to build a strong brand with loyal customer- and committed employee base. However, particular scandals in the recent years have diluted this brand image. Business ethics need to be reconsidered and policies established. Also, the retail experience is not currently optimal. I have made some recommendations for the company, which will help the brand to better connect with their target consumers.